Today at TK Maxx I bought a pair of Clarks Lima Rhapsody boots for £49.99 - RRP £100. 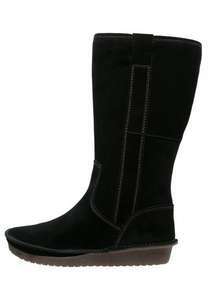 These mid-calf boots are suede and lined with wool/polyester and are super comfy and warm. They had about 5 pairs in store in size 6.5, I didn't check other sizes. They seem like really good quality boots and the cheapest I've seen them online was £60.